I am a recovering hoarder and to this day still pause for a moment before I throw away my recycling. But I draw the line at cereal boxes. I use each and every one of them as a canvas to the kids painting and drawing. In this activity Little M was keen to do some table top work and she is enjoying her colouring in at the moment especially using the thick felt tip pens. We have been using the BIC Decorelo which provides her little fingers with just the right amount of thickness for a firm grip. I drew out a few bubble letters that she has been learning in conjunction with supporting her phonics from www.starfall.com. 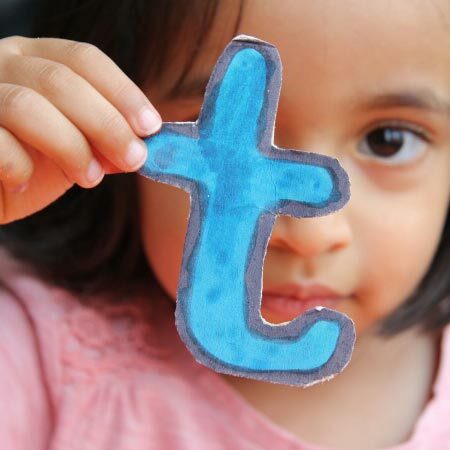 You can start off using the letters in your child’s name or choose from learning chunks of letters. 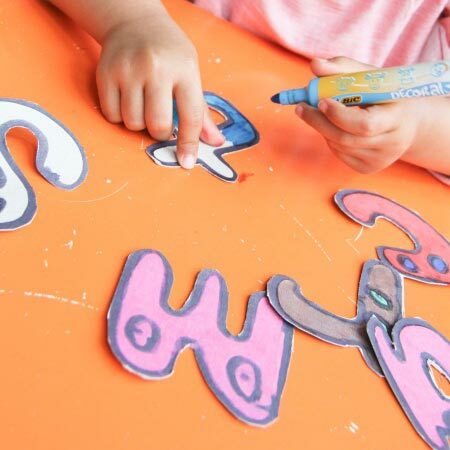 Colouring in the bubble letters gives the child the opportunity to feel and touch a 3D letter thus helping the child to imprint the letter in their memory. We extended the colouring in activity by using a word search grid where little M looked for the letters she had coloured within the grid and coloured in the square. This helped her match the 3D letter to a 2D letter on paper. It also worked with developing her figure ground perception. 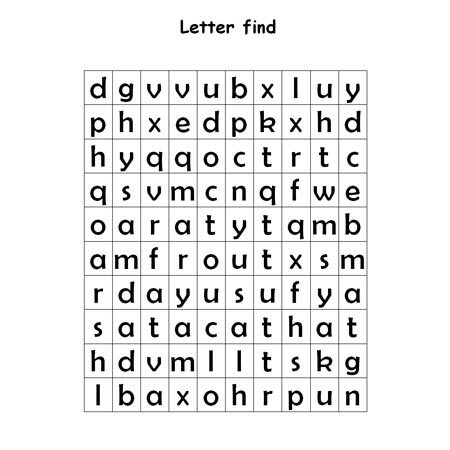 We used www.theteacherscorner.net to generate a word search grid and pasted it onto a word document to make it larger and ensure that the correct font is used so that the ‘a’ is formed correctly.